In this post, I’m going to show you how you can get followers on Twitter for free with only 15 minutes of effort each day! This tutorial is simple. Just follow along and I guarantee you will see results in no time! To get more followers on Twitter, the single most important thing you have to do is to follow other people. The trick to this however, is to a) ensure who you follow are of high quality (i.e. qualified in your niche and active on Twitter) and b) automate the process so it does not take up too much time. If you do this, you should get about 20-30% of people following you back! 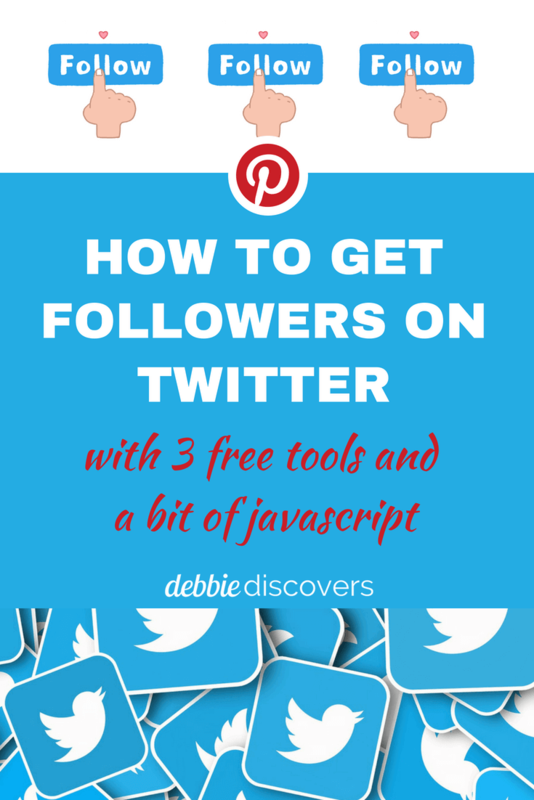 At a rate of 40-60 new followers a day, you can easily get over 1,000 new followers a month! Ready to start the tutorial? Let’s go! 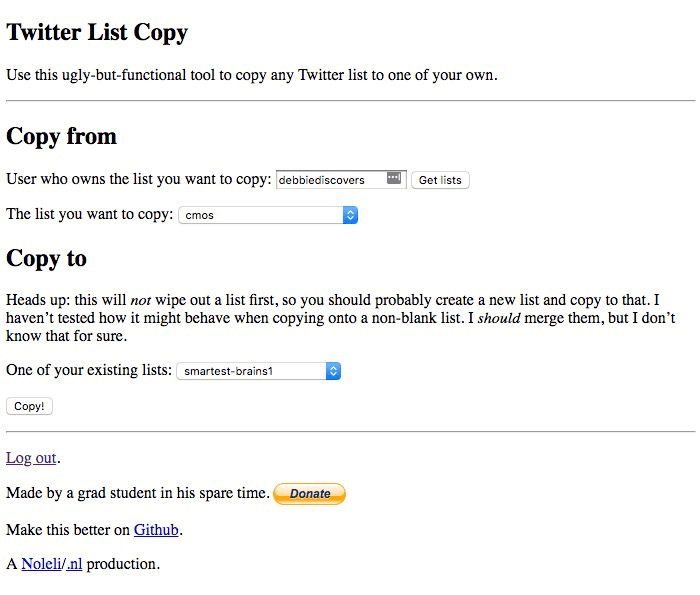 Twitter lists can be very useful but are not that easy to make. However there are tools that you can use! Audiense is my go-to tool to identify relevant, active people on Twitter, and I use Audiense to add them to Twitter lists. However, if you don’t want to pay, fret not! Here is another way! You can use Electoral HQ to find relevant Twitter lists. Alternatively, use these advanced Google Search operators to find quality lists. Once you find a good list, you can either bookmark it or copy it to your own with this free List Copy tool. The reason I like to copy the list is because a) you’ll always have the list and can add or remove people from it, and b) the people you’ve added to the list get a nice notification about the list add. Bonus Tip: Give the list a fancy name. Use words like Inspiring, or Thought Leader or Rockstar. People who see their names added in cool sounding lists are more likely to follow you back. After all, flattery gets you everywhere. Now here’s where the magic happens. 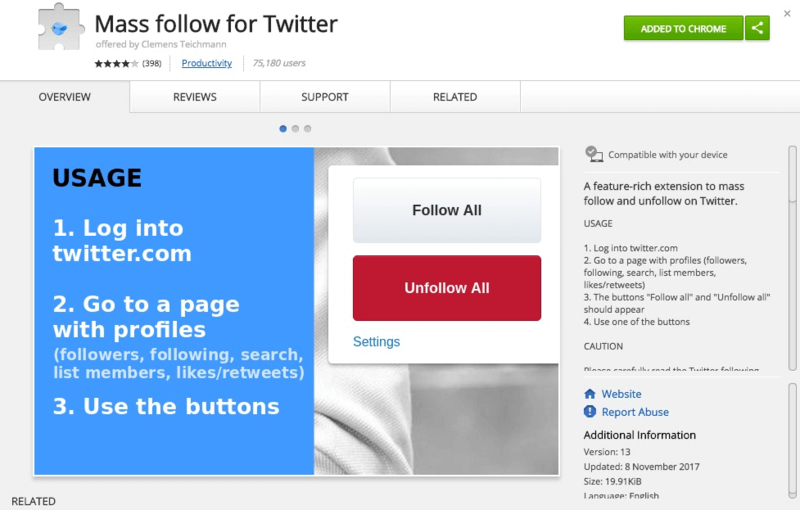 Download this Chrome Extension Mass Follow for Twitter. You do want to be careful with Chrome Extensions, as some could have malware or could use your browser to mine for coins. But I’ve been using this one for years and it works just fine. You can modify the settings, but keep the Wait time conservative, or Twitter may block you from following too many people. 1,000 milliseconds is just about right. The nice thing about this extension is that you can skip profiles you’ve followed before, or skip profiles without a biography or profile image. Twitter allows you to follow up to 1,000 people a day but I wouldn’t advise trying to hit that limit, or you might get flagged as a spam account by Twitter. Use this Chrome extension to follow 200-500 people a day. It’s easy, just press click! Here’s a screenshot on how to do it. 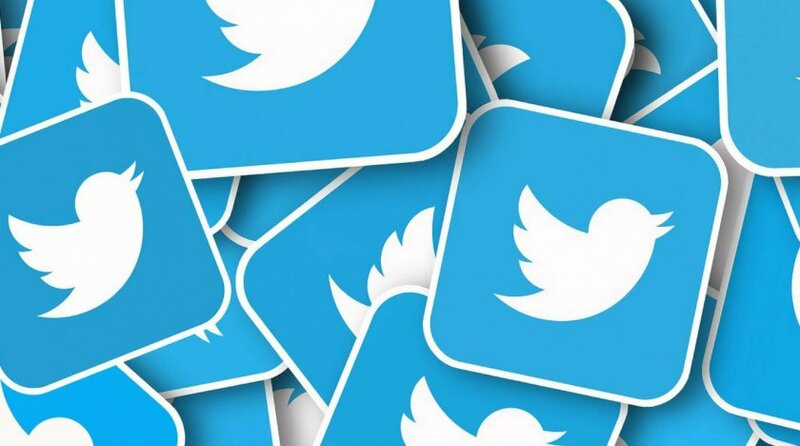 Twitter limits the number of people you can follow to 5,000 if you have less than 5,000 followers, so you’ll soon hit the limit if all you do is follow. 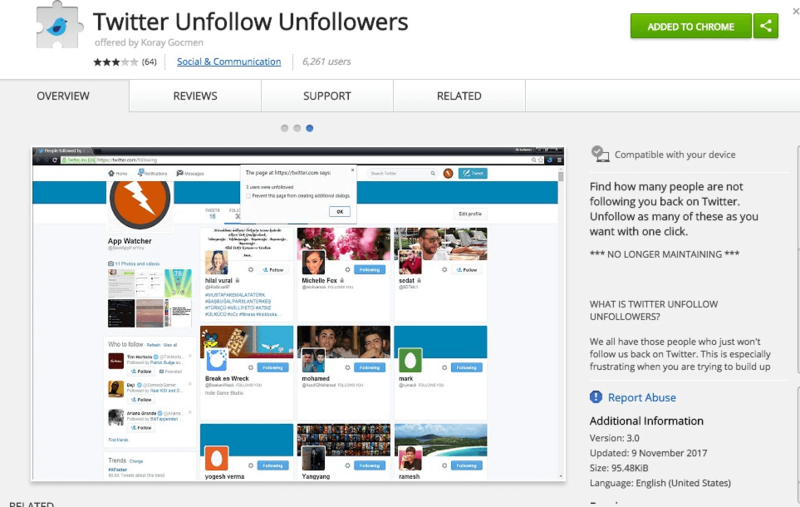 To unfollow, here are three easy ways to clean up your Following list. Use Audiense (paid but so worth it) to add all the people who don’t follow you back to a list. I also like to add Inactive and non-English speaking people to the list. 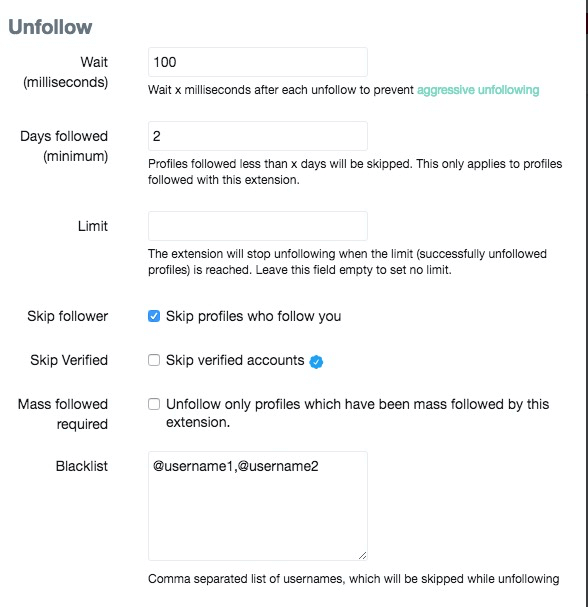 If the Twitter Unfollow Unfollowers extension does not work (it can sometimes be buggy), revert back to the Mass Follow for Twitter extension. 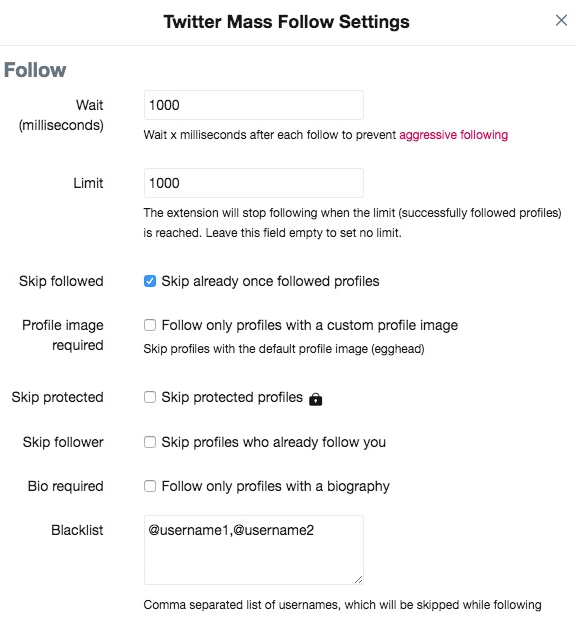 Use the Unfollow feature, the check the Skip profiles who follow you box! Do drop me a comment here or on Twitter if you found this tutorial useful, and remember to share this post!